I have seen a couple of waterfalls earlier, but never saw something this giant, completely milky white coming down from the rocks. Lucky me I got the glimpse of this nature’s creation not once, twice but thrice. Two times over the train which passed from the bridge and once from the viewpoint. 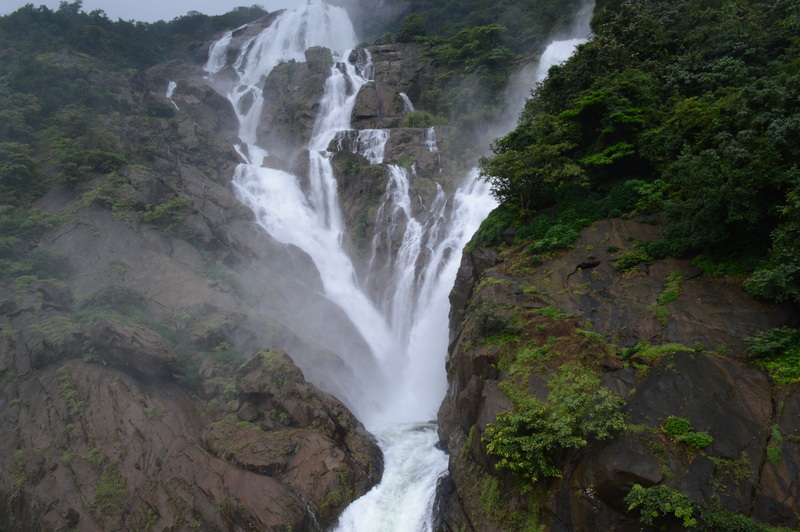 Dudhsagar Waterfalls also known as the Sea of Milk, is one of the largest and the most amazing waterfalls of India. The beauty of the waterfall is at its best during the monsoon.This waterfall at the Goa-Karnataka borders, draws the maximum number of visitors between July- September. 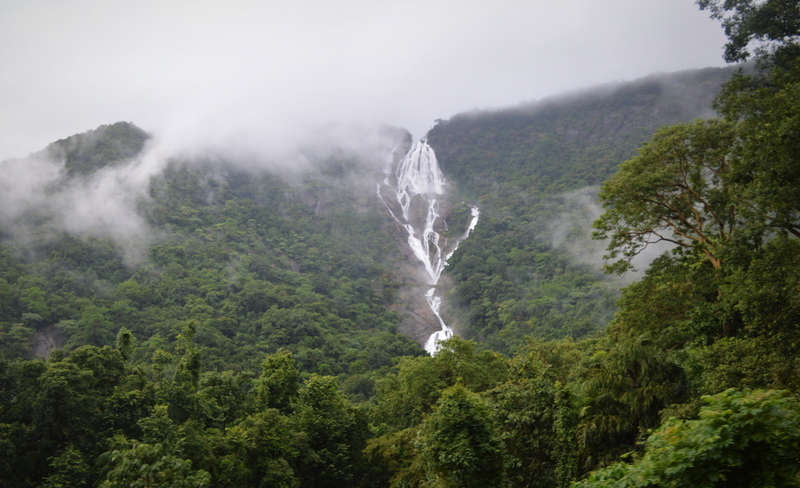 Visitors and trekkers from all parts of the country reach here for the Dudhsagar Monsoon Railtrek or just to get a glimpse of the gigantic waterfalls. Location : The magnificent Dudhsagar Waterfall is located in the high peaks of the Western Ghats, 60 km from panaji by road on the Goa-Karnataka border measuring a mighty 300 metres. 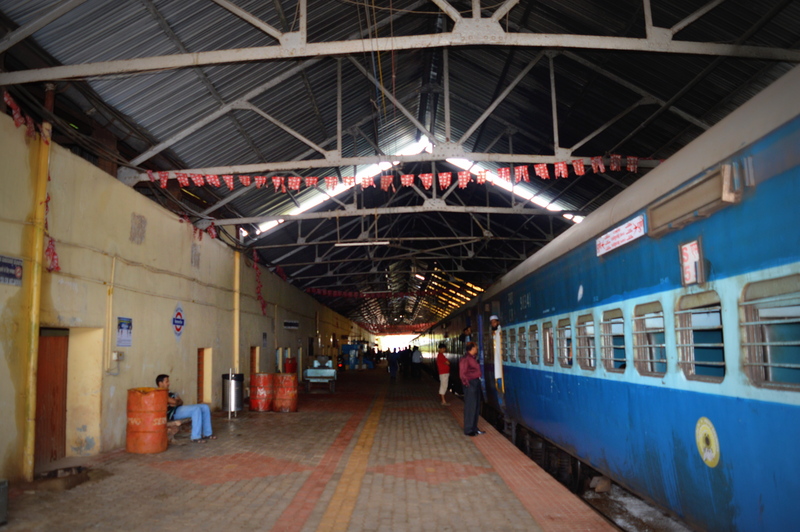 The nearest railway station accessible by road is Castle rock. 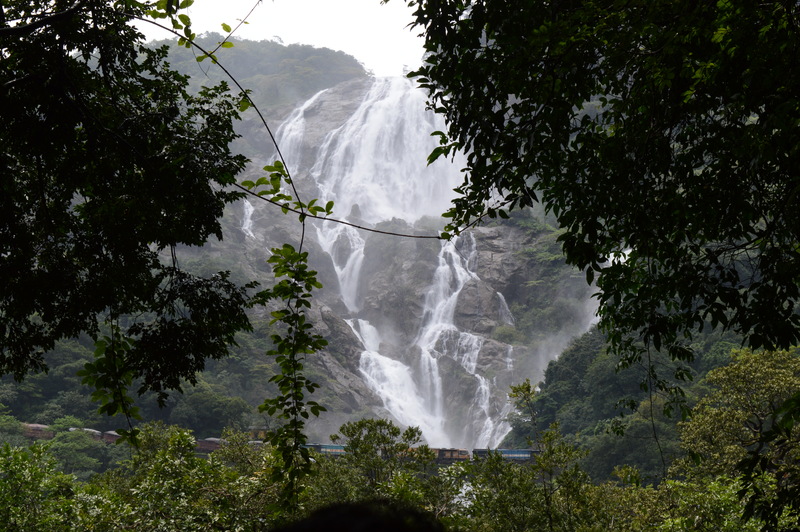 I was with a group of 20 trekkers (Wild Trek Adventures) and all of us, boarded the Pune-Ernakulam express which passed through the Waterfalls. I packed my small rucksack with biscuits, chips and some chocalates which was enough for a half day trek and we had our lunch at the Kulem station at around 4. The Castle rock station is one of its kind and has a historical significance. For many years this village remained the frontier between the portuguese held Goa and the british held India. 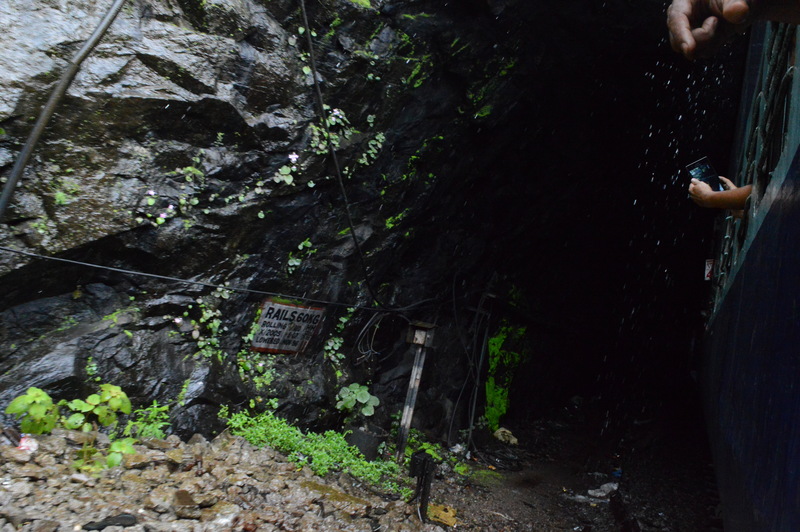 A metre gauge railway line used to connect the Goan towns which can still be seen at the Castle Rock railway station. 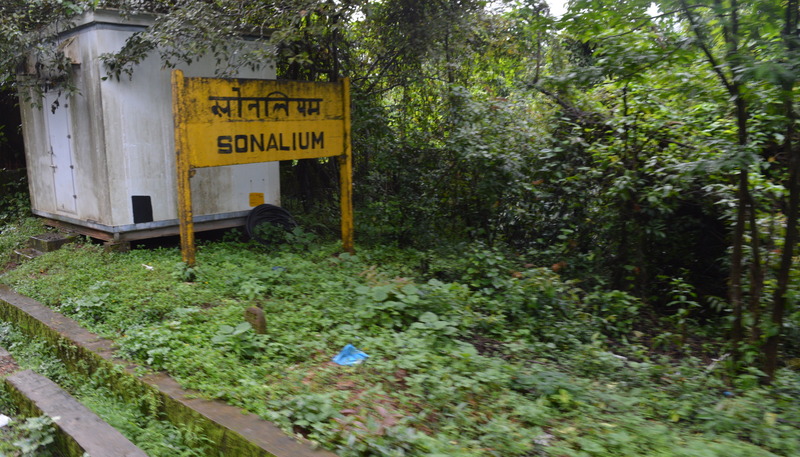 We got down at Sonalium station, which came after dudhsagar falls, looked all green and headed through the jungle route which was beautiful. Soon it started raining, walking through the green jungle in rains was really fun and we got some great views. We got the first view of the waterfalls right some after 20 minutes of walk as we started walking from the Sonalium station. We reached the viewpoint within one hour, from where you may get the closer view of the falls. We also saw a train passing over the bridge, which looked really awesome. From the view point you have to walk further 20 minutes to reach the second view point to get the closer look of the falls. 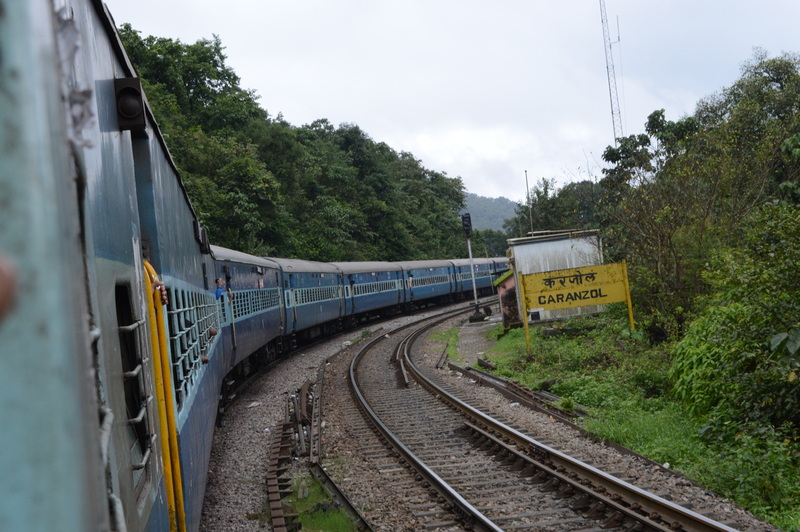 We stayed there for 15-20 minutes and had to head back as we had our train at 4:45 from the Kulem station to Pune. Walking back through the railway track was really exciting. 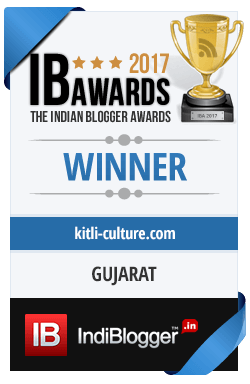 I never before had been so much on the railway tracks. The weather was just perfect and the rains kept on playing games with us. I put my rain sheets/raincoats in my bag and wanted to take every advantage of it. But that also stopped us taking more pictures as most of the time my camera was in my bag. 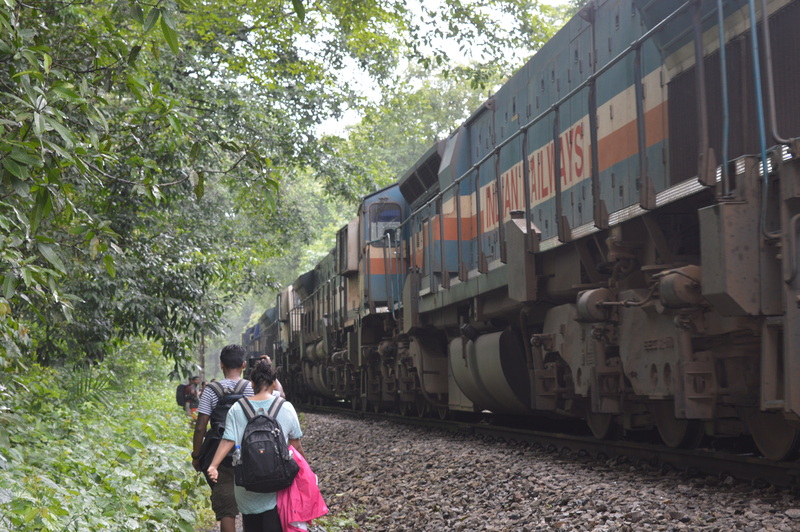 A Carrier goods train passed soon through the track and we all were glad to capture it. Carry your snacks and water as there are no amenities available at the falls. Carry your torch as you might walk through the tunnels.